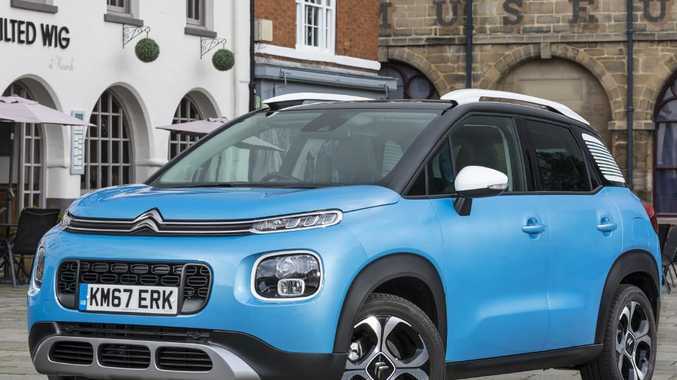 FRENCH brand Citroen is struggling to retain a foothold in the Australian market. The maker has been guilty of trying to sell the wrong product at the wrong price in recent years and local sales have dwindled accordingly. 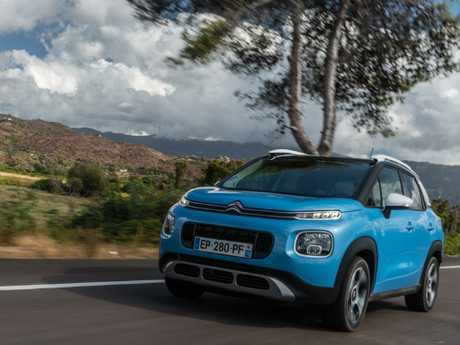 But there's a bright spot on the horizon for 2019 in the form of the C3 Aircross. Anything but anonymous, it's a look-at-me, city-based SUV with a long list of standard features. The chunky soft-roader is guaranteed to turn heads with its two-tone paint, coloured roof racks and unconventional cabin design. Set to arrive early next year, the Aircross will do battle in the cut-throat compact SUV segment as a European-chic alternative to Japanese volume sellers including the Mazda CX-3, Honda CR-V and Mitsubishi ASX. Its major selling point will be individuality. Buyers will choose from eye-catching combinations of bright orange roof racks, electric blue paint and black or white contrasting roofs. 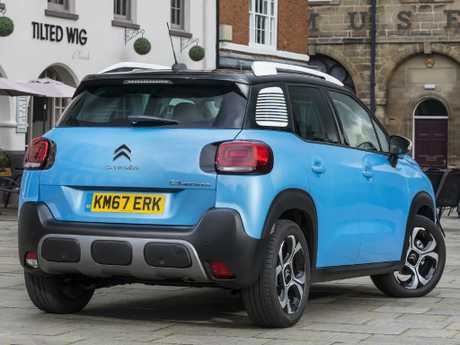 The approach is not revolutionary - Mini has been doing it for years and Citroen itself had a baffling array of personalisation options on its DS3 small car. It wasn't a hit with buyers and was a stock handling nightmare for dealers, so the French brand has taken a unique approach to the styling of the new Aircross. From the most popular colour combinations it found in an online poll, Citroen will have only the top five. Leading the poll was a blue vehicle with white roof and highlights, followed by a red car with black roof and silver accents and a white vehicle with black roof and orange highlights. The Aircross's rearmost windows are made of polycarbonate and are painted with a venetian-blind style pattern to add another dash of colour. Polished black alloy wheels complete the look. On the examples we drove at the Aircross's international media launch in France, the colour splashes carried into the cabin, with orange highlights on the air vents, steering wheel and seat stitching. 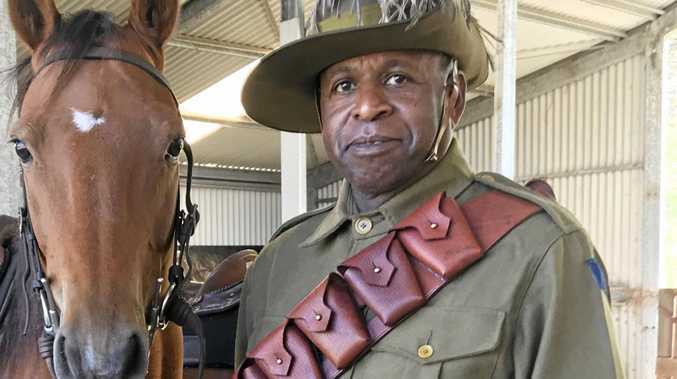 Citroen says it's yet to decide whether to have these on Australian cars. It should. The fresh approach to styling carries into the cabin, where the seat fabrics and surface treatments are a welcome change from the usual grey or black combinations in rivals. Tyre-kickers will be impressed by the spaciousness of the cabin. An upright dash, big windows and a tall, long body create an airy, roomy feel. Vision is good for the driver, there's abundant headroom and the rear pews have enough knee, foot and legroom for adults. The rear load area is above average size and there's a handy false floor for storing valuables out of sight. A space-saver spare isn't ideal but is par for the course in this segment. 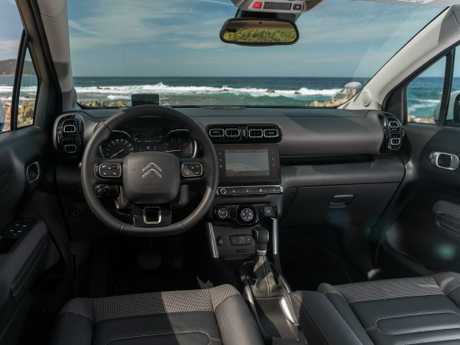 Citroen says there will be just one well-equipped grade, priced in the range of $30,000-$35,000 drive-away. 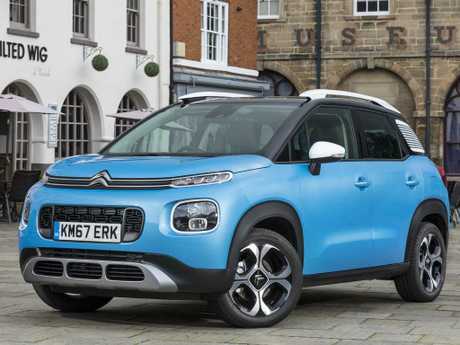 That puts it at the top end of the segment price-wise but Citroen says past experience showed buyers shunned the cheaper models in its range. Tech highlights include wireless charging for late model smartphones, head-up display, satnav with speed limit warnings, smartphone mirroring, bird's-eye view reversing camera and keyless entry and start. Autonomous emergency braking will be standard. Lane departure warning, blind spot alert and auto high-beam dimming will be available. The 1.2-litre three-cylinder turbo punches above its weight. It's not the most refined, though, sending vibrations through the steering wheel at lower speeds and shuddering when the stop-start engages. It has enough urge for overtaking and feels strong, if a little gruff off the mark. Built more for comfort than corner carving, the Aircross soaks up bumps and thumps well but feels a little top-heavy through the corners, leaning on its tyres and tossing occupants' heads from side to side over bumps. The steering is light but accurate enough for this type of vehicle. The seats are comfortable, with ample adjustment for finding the right driving position. The Aircross's success will depend on the eventual value-for-money equation when it lands next year. Its standout looks and comfy cabin are a refreshing change from the rest of the city SUV set.